Lingual braces, also known as Incognito , is a type of braces that cannot be seen when a person smiles, because the braces are behind their teeth. People who wear lingual braces are quite comfortable and confident because no one can see their braces and they actually have to open their mouth quite wide to show people that they have braces. Now a days, patients are very concerned with their appearance during orthodontic treatment as compare to the recent past. There are many solutions today for such patients such as plastic aligners and clear brackets. But every solution has its own shortcoming like all patients with dental cosmetic problems can’t be corrected with plastic aligners alone. Clear brackets is another option for appearance conscious people as they are far less visible then normal metal braces , they have been around for decades, but up-close they still look like braces. Recent advances in 3D imaging and CAD/CAM technology have facilitated a third option. This option is revolutionary in its nature and called lingual braces. Lingual means tongue and lingual braces are attached to the inside surfaces of the teeth that face the tongue. In this way, they are practically invisible from the outside, even up-close. Another advantage of lingual braces over all other invisible types such as clear brackets or plastic aligners is in terms of treatment duration, i.e. the overall amount of time can be significantly shortened using lingual braces. First and foremost , lingual braces are far more capable and efficient than clear aligners for complex movements and tasks like correcting rotations, changing the heights of teeth, as well as closing extractions spaces. These kinds of movements are generally not possible without metal braces as the other types of invisible braces are too weak for such complex movements. If lingual braces are not there then patients have to wear metal braces despite of discomfort. In case, if one’s oral hygiene habits are not ideal, resulting discoloration will be on the inside of the teeth where it is not visible. Discoloration is one major issue that comes along with braces especially with traditional braces. 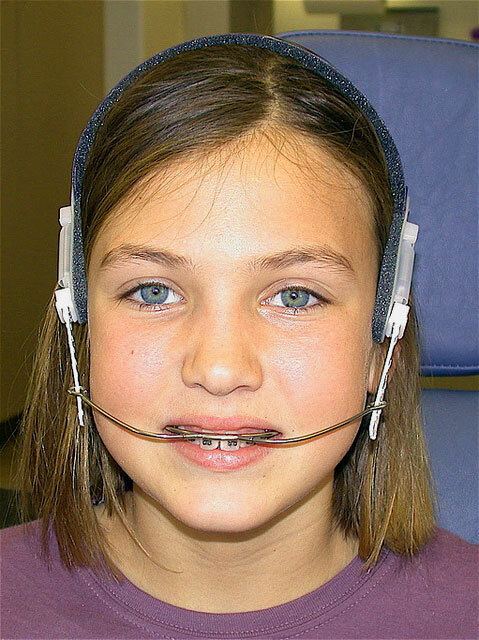 But thanks to lingual braces, now patients can wear braces without having fear of permanent spots on teeth. If you have are university or college student and you think that traditional braces are bit childish , or doing a job that would not allow you to have regular braces. In such case, with 3D imaging, modern diagnosis and treatment software, and robotically created wires, in short lingual braces are perfect choice for you. It takes a couple of weeks to get used to having braces inside your mouth and next to your tongue all the time. You should keep in mind that the brackets and wires will feel a little rough initially and they may affect your speech for a while. Eating solid food feels quite awkward and difficult in the first few day. Patients opt for a liquid diet such as soup, yogurt and smoothies during these days. In case of having difficulty while speaking, your talking should return to normal within 7-10 days with help of some speech exercises. Lingual braces are also more difficult to keep clean as compare to the other types. In fact if you have periodontal problems, inside braces may actually make situation more worse for you. Patients with short crowns can’t have lingual braces. Your orthodontist will determine it after your initial exam. Lingual braces are not only challenging for patients but they are also more challenging for your orthodontist and his staff. The main challenge is the reaction of your teeth to whatever applied to them, for example, most of the forces applied on the inside of the teeth react just opposite of those applied to the outside or the distances between the teeth requiring smaller and lighter wires, just opposite to the outside braces. Lingual braces require trickier adjustments and higher appliance costs mean that fees for lingual braces are generally more than those for regular braces. But how more the cost will be, actually depends on your case. Mostly time is one determining factor i.e. the cost is calculated based on the amount of time it will take to straighten your teeth.